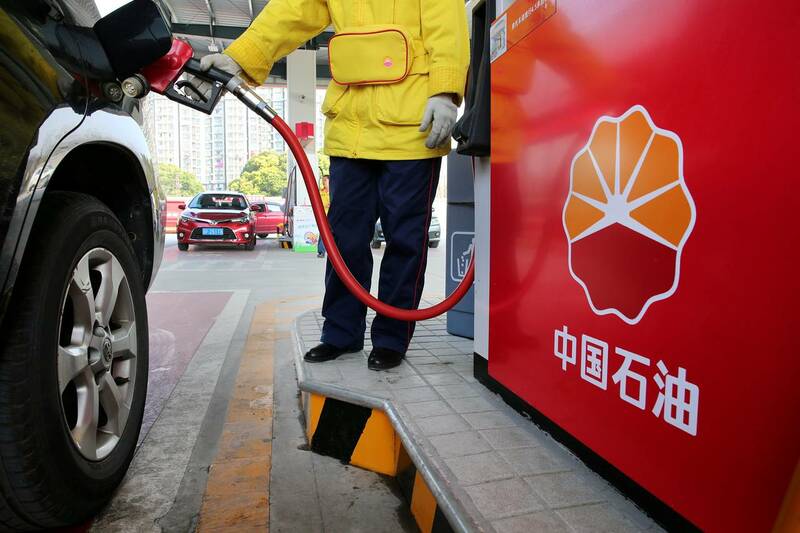 Shares in PetroChina Co. PTR 1.31% , Asia’s biggest oil company by market value, touched their lowest point since March on Monday after big falls in benchmark crude prices. Hong Kong’s Hang Seng led gains in Asian stocks, rising 1.7%. China guided the yuan 0.2% weaker to 6.9453 per U.S. dollar. Hong Kong-listed shares in PetroChina led declines in the sector with a drop of 1.5%. Smaller rivals Cnooc Ltd. CEO +4.14% and China Petroleum & Chemical Corp. SNP +2.43%closed slightly higher after falling around 2% earlier the day. As of the previous close, the trio had shed a combined $79 billion in market value since the beginning of October, according to Refinitiv data, as oil prices have retreated sharply. In Australia, the energy subindex of the ASX 200 benchmark declined 2.5%. Woodside Petroleum Ltd. WOPEY 1.23% , the largest component of this subindex, fell 2.3% while smaller rival Santos Ltd. SSLZY -0.74% was down more than 4%. On Friday, global oil prices hit their lowest point in more than a year due to concerns about global economic growth and a surge in supply. In Monday trading during Asian hours, Brent crude oil edged up 1.6% to $59.76 a barrel. In contrast to oil companies, Chinese gas distributors, which have benefited from Beijing’s efforts to combat pollution, continued to rally. China Gas Holdings Ltd. , which has a market cap of more than $17 billion, added 6.4% to increase its year-to-date gain to 27%. Smaller rival ENN Energy Holdings Ltd. rose nearly 4.9%. Crude’s weakness since early October reflects higher U.S. output and major oil producers’ reluctance to curb supply, said CMC Markets analyst Margaret Yang in Singapore. “Trade tensions that cloud global energy demand [have] further dampened the outlook,” she added. Others say oil could rebound. Kerry Craig, global market strategist at J.P. Morgan Asset Management, expects global oil prices to return to $70 to $80 a barrel. “There are lots of incentives to keep oil prices steady but higher than where they’re now,” he said. Morgan Stanley analysts say a December meeting of the Organization of the Petroleum Exporting Countries could put a floor under oil prices. One consolation for equity investors: The link between crude prices and shares in oil-producing companies, while still strong, has weakened somewhat this year.